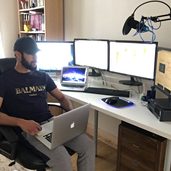 About me Starter Trading at the age of 15, Haven't stopped since! CAD/JPY LONG IDEA: All reasons described as simple notes in the above picture !! -(All reasons are described as simple notes in the picture above). WHAT IS IN STORE FOR CADJPY? THERE IS A LOT OF POTENTIAL FOR THIS PAIR TO REACH, HOWEVER WE STILL HAVE TO BE PATIENT AND GET SOME CONFIRMATION IN TO WITCH DIRECTION IT MAY BE HEADING AS THIS PAIR DOES LIKE TO MOVE IN FUNNY MOTIONS SOMETIMES. I put educational posts out from time to time ! - (All reasons are described in the above picture as short Notes). - (All reasons are explained in the above picture as simple notes).